Leon Panetta served in the Obama administration first as CIA Director then as Secretary of Defense. He has a new ‘kiss and tell’ book out called ‘Worthy Fights’. Panetta has had a long and distinguished career of public service. His criticism of President Obama’s performance is direct, sharp, and devastating. To no one’s surprise, members of the Obama administration and others have roundly criticized Panetta (but curiously, their criticism has little or nothing to do with Panetta’s accusations and more to do with that he is speaking out against Obama and speaking out against him now, before the mid-term election). Words like ‘loyal’ and ‘loyalty’ are a recurring theme in the criticism against Panetta, the inference being Panetta has been disloyal to Obama. And an argument can be made to that effect. Loyalty is a key attribute executives and leaders look for and expect from their subordinates. An executive’s ability to perform his job would be diminished if he couldn’t trust his people. Notwithstanding Panetta’s solid career in politics and governing, it is fair to question his motives; after all, he does stand to make a lot of money from his book, and before Obama was a gleam in the lusty eye of American politics, Panetta was a Bill Clinton man, and it’s no secret there’s no love lost between the Obamas and the Clintons. All granted. But it’s also possible Panetta the American is truly concerned -even alarmed- at how the world is spinning out of control in large part because of Obama’s asleep-at-the-switch, ‘Lead from behind’ lassitude. 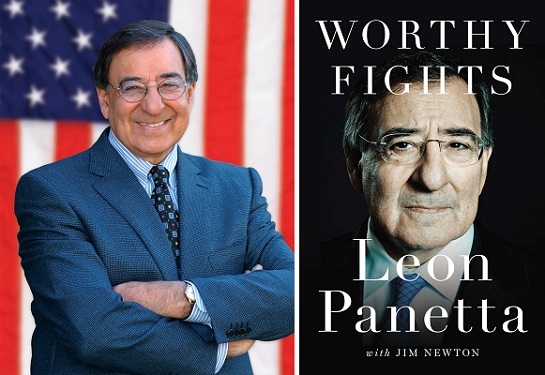 Panetta is the third former Obama Cabinet official to come out with a book that has been sharply critical of Obama (the first two being the man Panetta replaced as Secretary of Defense, Robert Gates, and Secretary of State Hillary Clinton). Last August, Senator Dianne Feinstein publically criticized Obama, saying his approach to the totalitarian Islamist group ISIS was “too cautious“. If the critical remarks against Obama were coming from a lone Tea Party congressman or from talk radio, the White House could deflect them by saying their critics are right-wing extremists whose opinions are outliers and therefore not to be taken seriously. But they’re not. They’re coming not only from powerful, influential Democrats, they’re coming from former Obama cabinet officials, which is precisely why they’re so devastating for Obama. It appears Panetta is exercising a higher form of loyalty, one the puts loyalty to the country above that of his boss, and in this case it is right, good, and healthy. So while some may argue Panetta has shown Hocheverrat (disloyalty to his superior) towards Obama, his aim is to avoid committing Landesverrat (disloyalty to his people/nation). In this view, Panetta’s criticism of Obama is a higher form of loyalty, one that requires knowledge, experience, and wisdom. It’s a loyalty that’s much higher than simply having your boss’ back, which too many people engage in for purposes of getting power, prominence, and position. Panetta is a politician who comes from the crooked timber of humanity. His decision to openly criticize Obama probably comes from a variety of motivations, including his sense of loyalty to his nation. For this, Panetta is to be commended.